RPGs present an interesting problem for game designers. They need a large cast of characters representing a wide range of personality types to tell an interesting story. The interaction between characters is key to making an interesting story. After going through massive amounts of work to hand craft each character the player will still end up with only a few of those characters in their active party at any time. Most RPGs have a fairly small party size. The standard seems to be 3 or 4 active party members at a given time. Compare this to the amount of characters to choose from and you'll quickly realize that many characters are being left out. Final Fantasy I might have done something right in this respect. At the beginning of the game I created a party with the classes and names I wanted which then was my active party for the entire game. I've grown to appreciate every one of my characters because they are constantly in my active party. Think about how this compares to most other RPGs. Dragon Age: Origins only lets me have 4 characters active at a time out of 9 or so. At least the developers included the modern advancement of giving all the characters the same xp even when they aren't in the active party. That way no character falls completely behind. Then again, some of the character designs are lame. Did anyone actually use the dog during their entire playthrough? A character with no dialogue and very limited abilities is not interesting to play. Mass Effect 2 had a bunch of interesting characters, but some ended up having abilities that were much more useful than others. Most of my playthrough involved a static party of Miranda, Mordin, and my Shepard simply because their abilities worked great together. I would have loved to use more characters because they all have a unique personality, but every time I tried to switch it up my party would feel weakened. I would inevitably end up going back to my default party so that I could win battles in the game. My favorite part of Final Fantasy XIII was when my entire roster of characters was separated into duos that with limited class selections. It meant that I got to play as all of my characters and each time I switched between parties there were new and interesting choices to make about my available classes. Because of the Materia system, Final Fantasy VII is the closest I've seen to an interchangeable party system. I can turn any character into whatever type of Materia user I wanted. At the same time, the entire party shows up for all of the big scenes in the game so no character feels disconnected from storyline events. 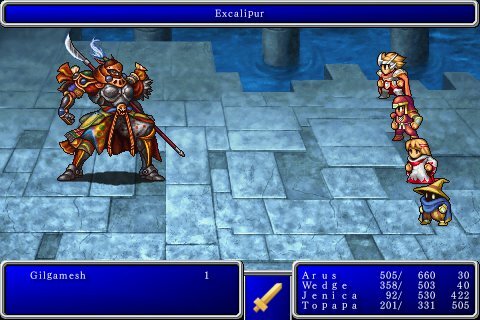 Those two design decisions go a long way towards making it one of the most respected RPGs ever. Almost every RPG on the market today suffers from a wealth of characters, but not enough opportunity to utilize them all. Has anyone else felt a disconnect from their characters because of the way a game was designed? "Then again, some of the character designs are lame. Did anyone actually use the dog during their entire playthrough? A character with no dialogue and very limited abilities is not interesting to play. " I used my main, Morrigan, Lelianna, and the dog for the majority of the game. that dog was an awesome tank if you set up its tactics right. I loved using it. "Mass Effect 2 had a bunch of interesting characters, but some ended up having abilities that were much more useful than others." Really? I found that the game was so easy that it didn't make a difference which characters I had at any given time. For reference, I always had Tali in my party, and usually Grunt (until I got him killed). I guess I pick characters on flavor, not effectiveness..... at least in a Bioware RPG. "Almost every RPG on the market today suffers from a wealth of characters, but not enough opportunity to utilize them all. Has anyone else felt a disconnect from their characters because of the way a game was designed? " I agree with this sentiment, and the FF XIII analogy that preceded it. I don't like feeling that the majority of the characters at my disposal are wasted, but quite often that's exactly what happens: I pick my favorites, and stick loyally with them through the entire game. 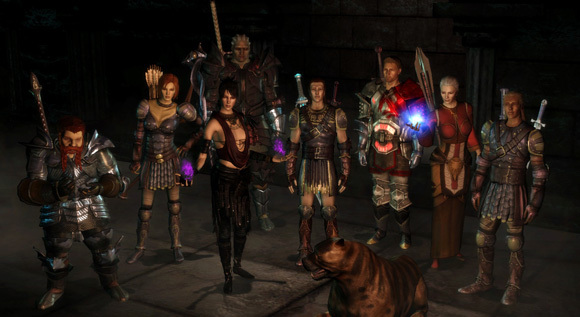 I'd really like to know what you liked about having the dog in your party in Dragon Age. I'm glad someone found him interesting, but I didn't personally.